Most homes have double glazing windows today as they are much tougher and more effective insulators than single glazing. It is worth investing the money if your home does need double glazing as it lasts for a long time and it is easy to maintain. Double glazing specialists will give you a guarantee of at least ten years for the work carried out. These guarantees may entitle you to some free repairs if they fall under the specifications. However you should check what your guarantee entitles you to first. 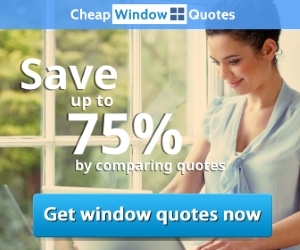 A lot of double glazing companies do also offer repairs and if you use the same company that installed the windows they may give you a discount on repairs that are not covered by the guarantee. More importantly if the maintenance that is needed is handles, for example, they have an exact product match. Most double glazing windows are UPVC which are popular and offered by all double glazing companies as standard. Maintaining UPVC is fairly simple as all it requires is the occasional clean and light oil. However if the UPVC begins to appear discoloured then you will have to see a specialist as this is not something you will be able to fix. Most specialists include this in their guarantee these days so it is worth checking. You can ensure that you do not cause discolouration or premature erosion or damage by taking care of the windows yourself. The metal parts can be cleaned with a tiny bit of oil. Oil is not god for other parts, however. These can be cleaned using a furniture aerosol containing silicone. The glass itself should be cleaned with glass cleaner or alternatively warm water with a dollop of cream cleaner if you have UPVC windows. Aluminium car polish will suffice for aluminium windows. You should, however, avoid washing up liquid on any part and lubricant on patio door tracks. Tracks can just be brushed. You should also avoid making unnecessary callouts for windows until you have cleaned them following these guidelines as hinges might, just need a bit of oil and windows, that seem to be getting misty, may just need a clean. Some repairs needed for maintaining the use of windows are fairly simple. They can be done by companies that will come out within the hour and are an easy fix. Hinges for example work on sliding friction pads that are prone to breakage at the weakest point. It is not unusual to replace these in pairs which is probably for the best as if one hinge is at breakage point the other will also be likely to be weak. Other easy fixes include broken handles and locks. Broken windows are a bigger problem but they do not indicate that you should have a full replacement as frames may be fine. There are several companies that offer glass maintenance and repairs only. They will take out the frame and fit a new frame from the inside saving you replacing all your windows. They also replace misted windows, put cap flaps in glass doors and replace weak frames with toughened glass.